This is Pont Des Arts. 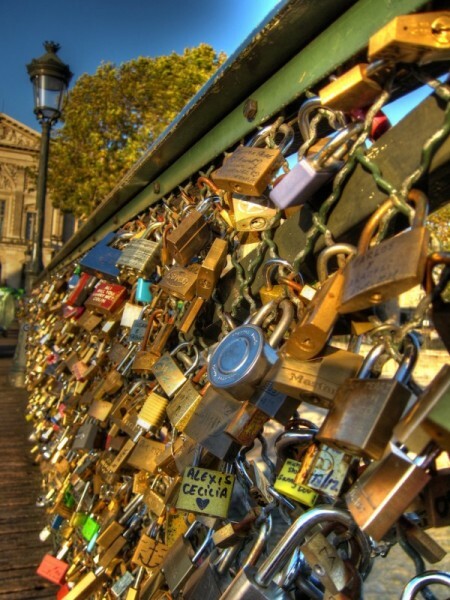 Lovers flock here to write their names on a lock, lock it to the bridge and throw the key into the Seine symbolizing their eternal love. This picture was taken using my little magnetic Joby tripod. The locks were perfect to stick the little bugger to. The light was perfect. Often it’s a matter of being in the right place at the right time. This entry was posted in Photography and tagged HDR, Paris on April 27, 2015 by robezman.